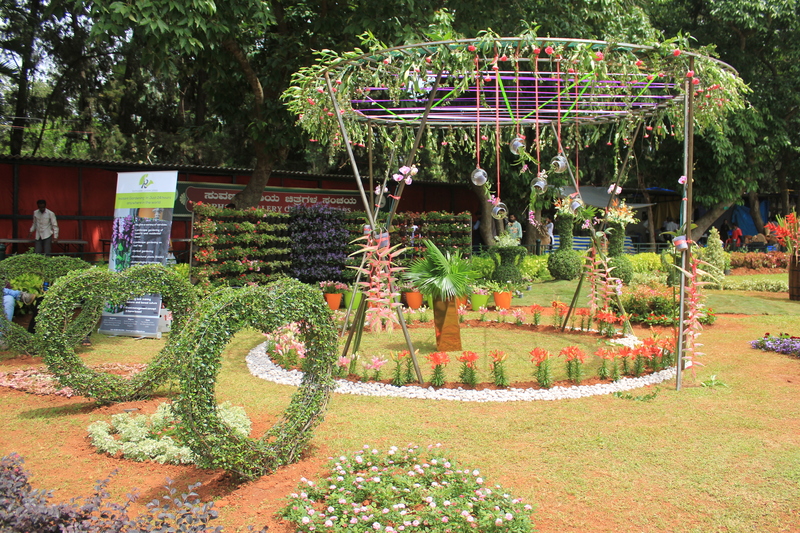 A stunning replica of a royal elephant adorned with red and yellow capsicums grabbed eyeballs at the Independence Day edition of the Lal Bagh Flower Show 2015. 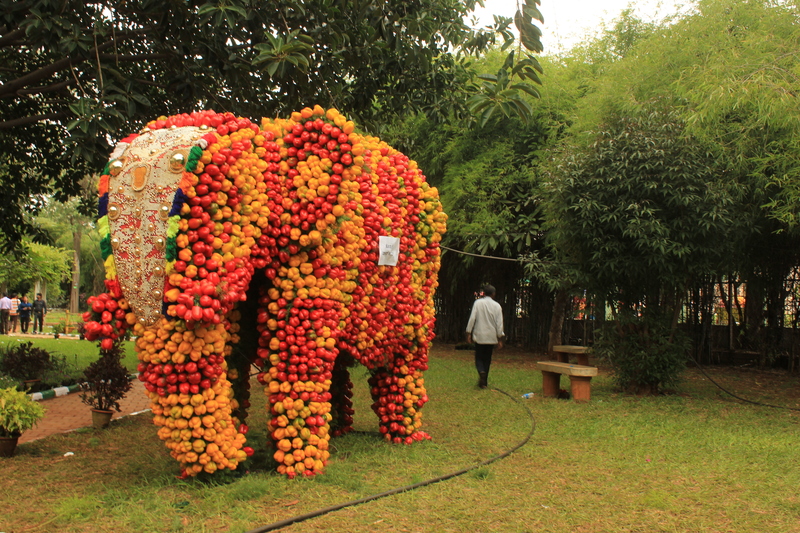 The colourful elephant stood tall at the Bonsai Garden. 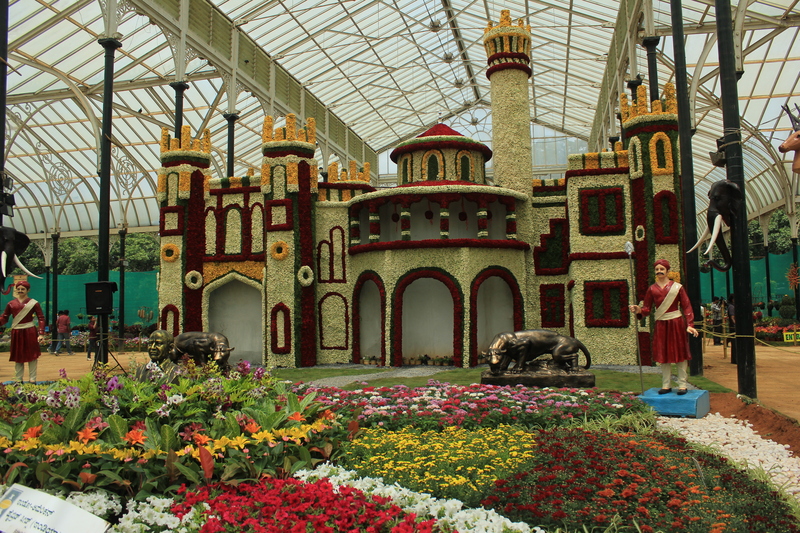 The inauguration of the flower show at the Glass House by the Maharaja of Mysore Yaduveera Krishnadatta Chamaraja Wadiyar and the Queen Mother Pramoda Devi lent a regal air to the proceedings. 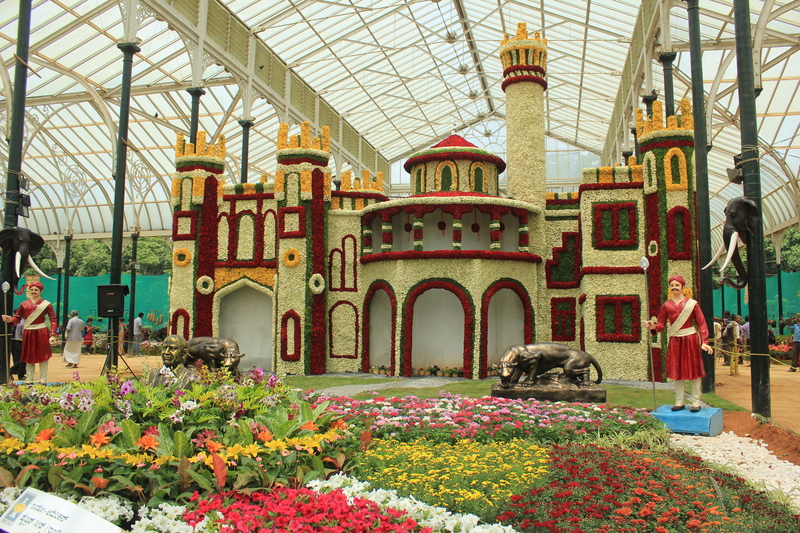 The special attraction at this edition of the show was a majestic floral replica of the Bangalore Palace. 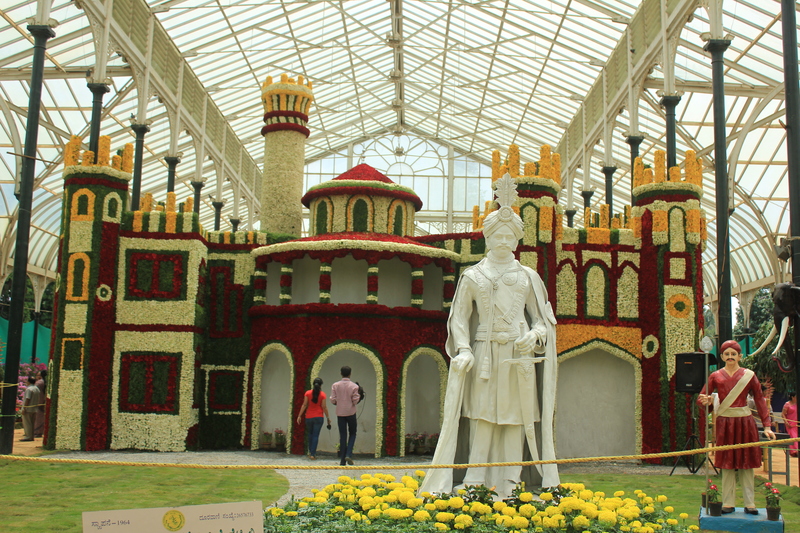 Other attractions in the Glass House besides the floral beauties were statuettes of the past Maharajas of Mysore and a palanquin carrying a royal lady. 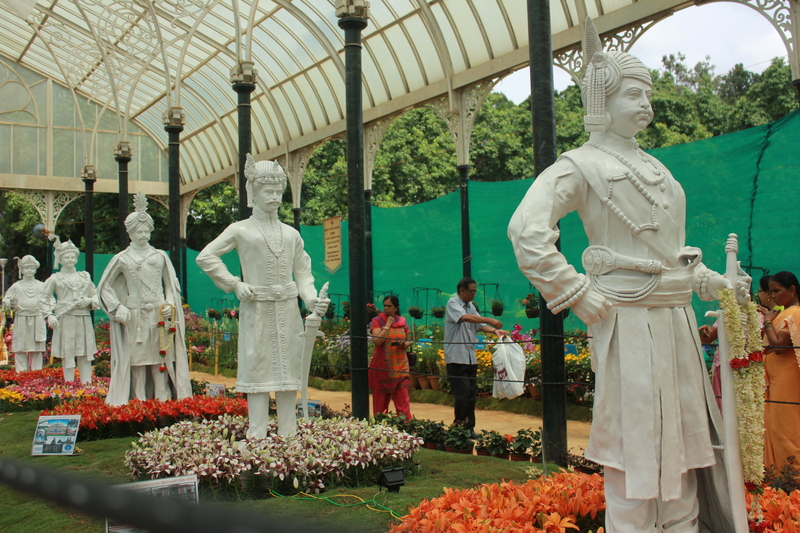 All around, there were white banners carrying information of the erstwhile kingdom of Mysore. There were more attractions in store outside the Glass House. 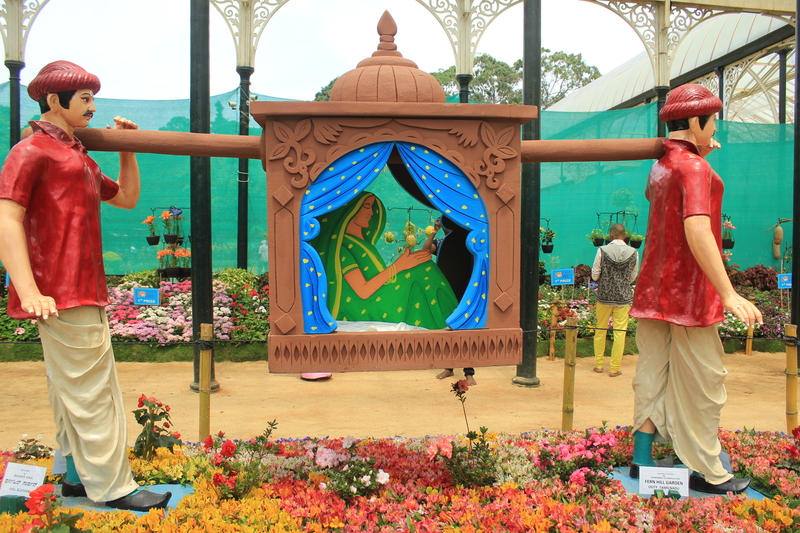 Among the flowers, the roses like always were the show-stealers. It was difficult to take your eyes off them. There were a lot of smaller flowers on display. 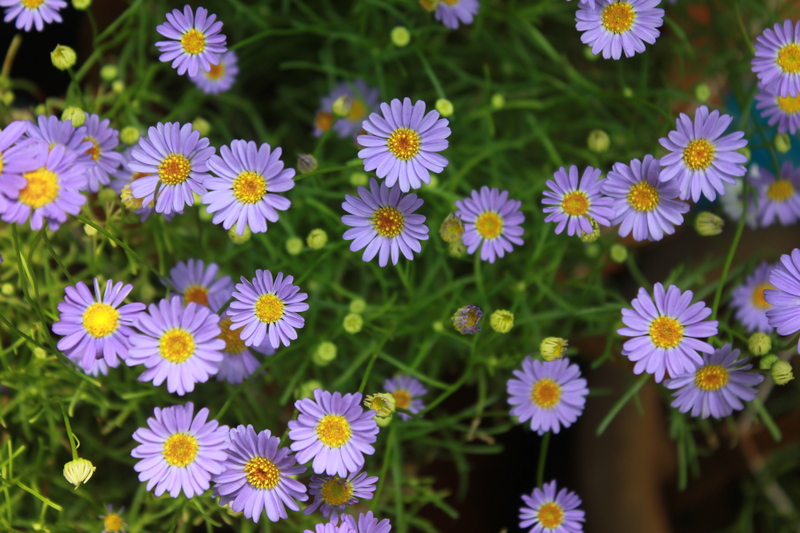 I just loved the pretty Swan River Daisies. I don’t remember seeing these delightful flowers here in the earlier editions. 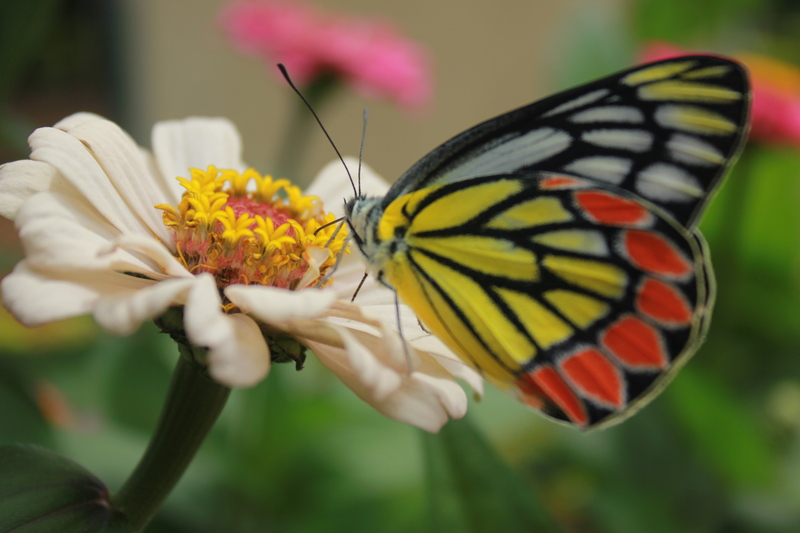 The dahlias in various hues looked elegant and could be spotted from afar because of their large size. 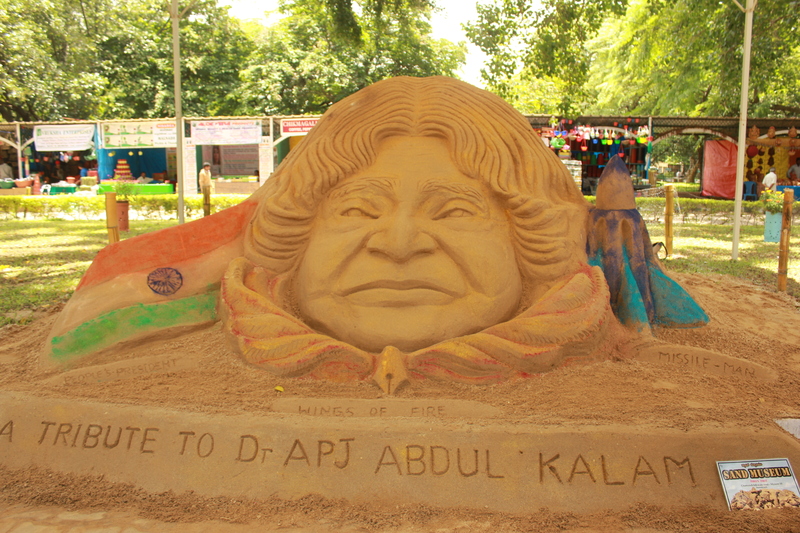 People from all over the state seemed to have made a beeline to the show. 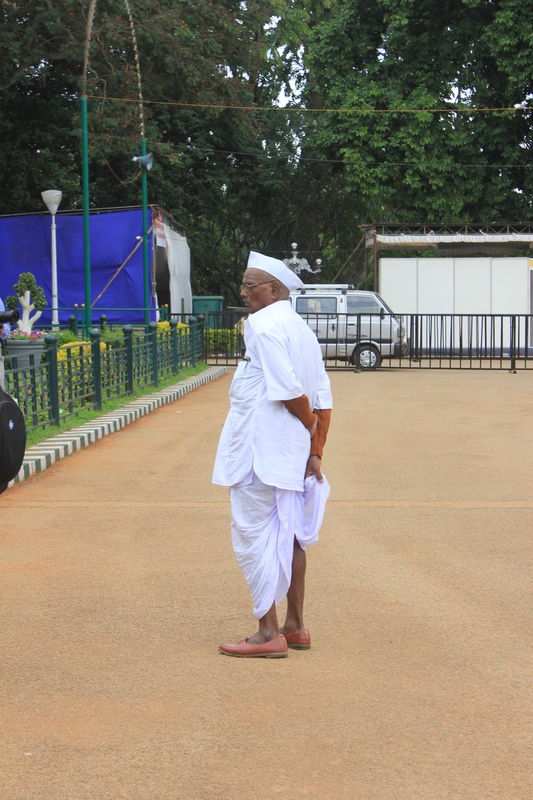 This man was one among them. The selfie craze was evident. I don’t remember how many times I had to dodge past selfie enthusiasts. There were a lot of fashions on view. 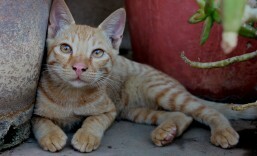 I couldn’t get to click the royals. The two of them were exceptionally dressed. While the young king looked dapper in a white blazer and black jodhpuris, the Queen Mother looked beautiful in a lovely silk saree. 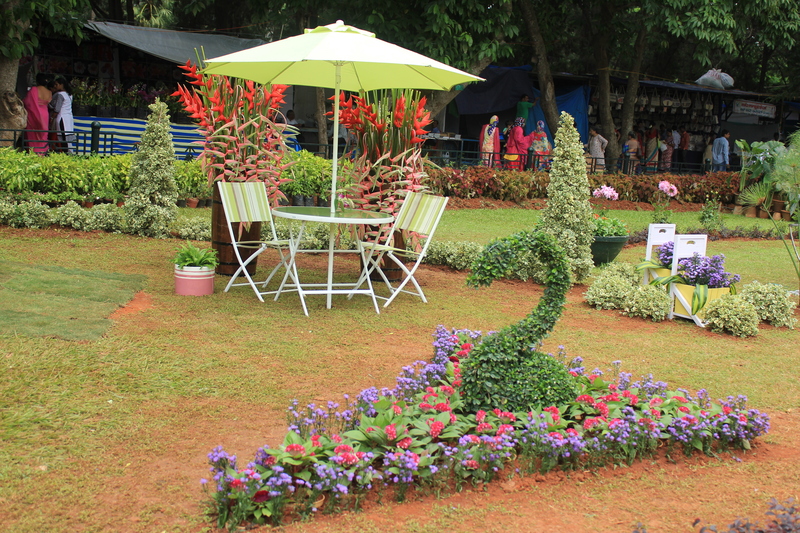 There were a lot of stalls around the venue selling gardening tools, seeds, saplings, bags, books, food and much more. The lawns were dotted with people and there were a lot of canines taking a nap or on the verge of taking a nap like these two adorable fellas. I had to literally tell them, “Hey let me take a picture and then you go to sleep”. Like last year, menacing clouds sent me into a tizzy. I gave up on the idea of resting my feet and had to leave the place earlier than I wanted to. I got into a rickshaw just in time because within minutes, the skies opened up and there was a downpour.